Welcome to my Top 10 anticipated MCU movies and thank you for reading so much! This list will have movies that will come out in the future as of August 17th, 2015. Now I will have to be really honest here so don’t get mad at me because it is my own opinion and it is great if you disagree, but this is probably the only superhero film I don’t really care for. Inhumans are very boring and I just don’t care for them. The only characters I like are Black Bolt and Medusa and I don’t really care for Karnak, Crystal or even Triton. Hoping for that Lockjaw though. 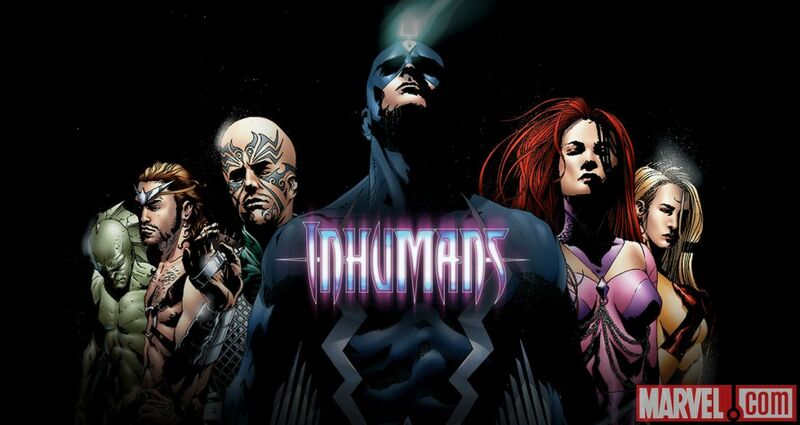 I like the concept of Inhumans, but so far Marvel never sold me on them. Two words. ABOUT TIME!!! It is finally about time that we had some women super hero movies. This and Wonder Woman could change everything and that will be really exciting for girls to get their good share. The only reason I put it on number 9 spot is because we have barely any news about this film other than it’s coming out and that the character will be Carol Danvers. Again two words. ABOUT FREAKING TIME!!! Okay maybe 3, but people know that African(-American) characters are more lacking than female super heroes and this is a perfect property to take on. I don’t know anyone who doesn’t like this character and we will get our first look at him in Civil War which will be exciting. Seeing Wakanda (real Wakanda) with all the high mixed with old tech will be on my anticipation radar. 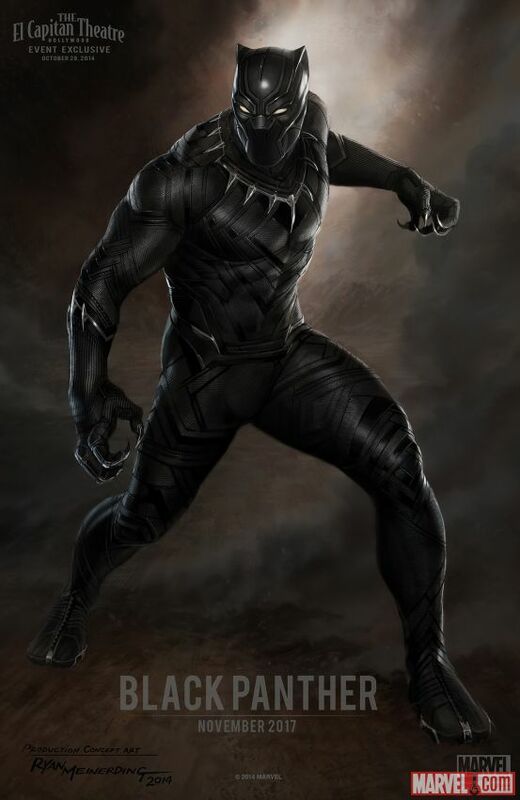 They also got a prefect actor for this role so, I can’t wait to see Chadwick Boseman to play T’Challa. At first I really didn’t care for this project happening, but then people started to tell me cool things and Marvel Studios said that this will be like Fantasia, which means Stephen Strange will go to different dimensions. Now that I want to see, especially that this will be the most different Marvel project of all time. On D23 Marvel showed off a bunch of concept art that everyone went crazy for and Benedict Cumberbatch looks great as Doctor Strange. He is a great actor and if you bring in a great actor you at least seem to go in a right direction. Reason #1. They are keeping the same director from the 1st movie. Reason #2. 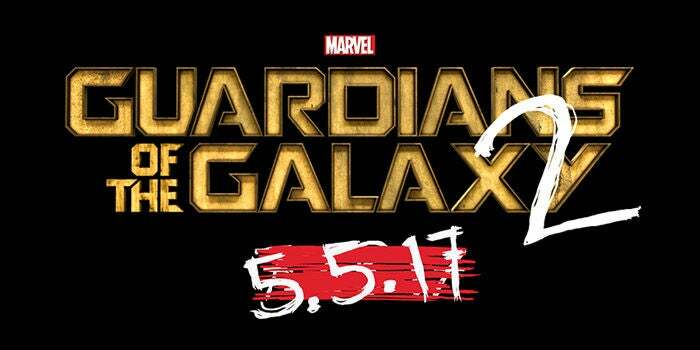 Adam Warlock will be in the movie (not confirmed, but hey! This will happen.) Reason #3. New Awesome Soundtrack! Who wouldn’t want to see this? Wait what? “Why would you put part 2 lower than part 1?” Because I feel like Part 2 will mostly be a final battle and mostly an action driven movie like Age of Ultron was, but I am not saying that this will be bad. It just won’t be the best idea. We also know that the actor contracts expire so this will be the final time we probably see Iron Man, Steve Rogers, Thor on the big screen and I want to see all the heroes in the entire movie! 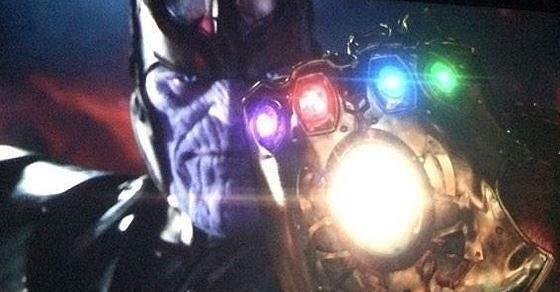 This will feel like 2012’s The Avengers once again. Yes, please! Since Robert Downey Jr. and other main MCU actors have this or Part 2 as their final picture deal then it is safe to say that all the main actors will be saved for Part 2, which is perfect as it would give all the more minor characters a lot of screen time, development and chemistry. This will also be mostly story driven as the 2nd part will be more action based because of the ‘final boss’ element as I said before. I am really surprised on how high this is on my list especially that you would think people would get sick of Spider-Man when we will have 3 interpretations of the character in a generation. But this will finally be the moment Spider-Man will be redeemed after the monster known as The Amazing Spider-Man 2. Spider-Man is my favorite Marvel superhero so maybe that is the reason as to why I still have hope, especially that Kevin Fiege is helping. I am sure Tom Holland will do a great job as Peter Parker. This is also a another surprise because this is my number 2. I am loving the idea of finally having Baron Zemo in a film and doing Civil War, but I am also really starting to get worried. This movie is really getting overcrowded and I wouldn’t be if this was an Avengers movie. Speaking of the Avengers, this movie will have more superheroes than any of the Avengers’ films. I hope they will take a page out of Fox and X-Men. In those movies we have the more important heroes and less important ones. Not everyone needs to be developed in the film. This movie’s job is to develop Captain America and I hope it will feel like it no matter how many heroes it will have. I trust Marvel and the Russo Brothers so, fingers crossed. Would hate a Captain America movie to be Marvel’s first flop. Now you can all scream on me, but this movie….. I can’t wait for it! Marvel said that this will be Thor’s “Winter Solider movie” and that is perfect because Captain America: Winter Soldier is my 2nd favorite Marvel film. This will be Thor trying to stop ‘the end of all things’ and we will find out what did Loki do to Odin?!?!?! I also hope for Enchantress and Beta Ray Bill! 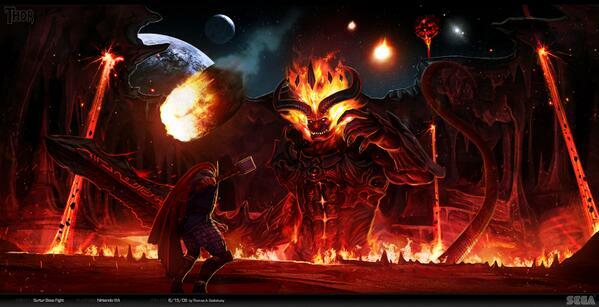 And if this is truly the Ragnarok we will get Surtur. For all the fanboys and sweaties, you know what I am talking about. I just can’t wait for this! I think I will be the most excited person for this movie. This film will be amazing! Period! I hope that you really enjoyed my list! The Marvel movies coming will all be great. Please like, comment, share! I really wanna hear your list in the comments and stick to Comic Booger! See ya, nerds!